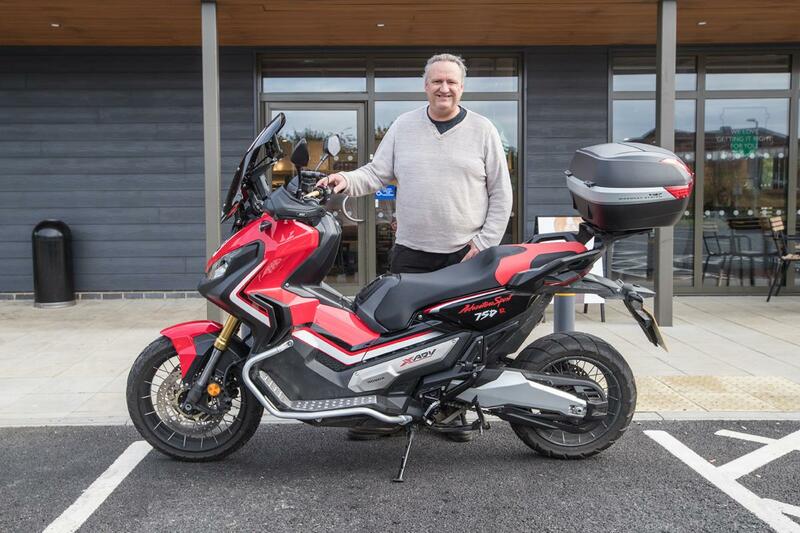 My Honda X-ADV is definitely the motorcycling equivalent of Marmite, you either love it or hate it. Me, I love it (I mean the X-ADV, I despise Marmite with a passion!). I discovered Honda had sold 211 X-ADVs in the UK so far, to put this figure into perspective they’ve sold 215 of the latest Fireblade SP. I was keen to meet some of these X-ADVists and find what had made them part with their hard earned cash and here's what they think. Why did you buy an X-ADV? Fed up with BMW experience, C650 was too expensive to service and run. Want to return to Honda brand and enjoy pursuing new technology. Like? Love the gearbox and averaging 70 mpg is a bonus. Dislike? The footboards aren’t wide enough and with crash bars fitted it is restrictive. The main beam switch is not easy to locate. Changes made? Added the Comfort Pack with heated grips, it was expensive but there didn’t appear to be a cheaper option. Would you buy it again? Definitely. What your favourite roads? Love the open roads in Scotland, Spain and Portugal. Biggest trip to date? Wales to Western Ireland, I rode part of the fantastic Wild Atlantic Way coastal route. When did you buy it? April, it was one of the first in the country. Why did you buy an X-ADV? Like the feet forward riding position. Want an all rounder that can tour and go off road. Like? What’s not to like? It’s a bike I can sit on all day. Dislike? 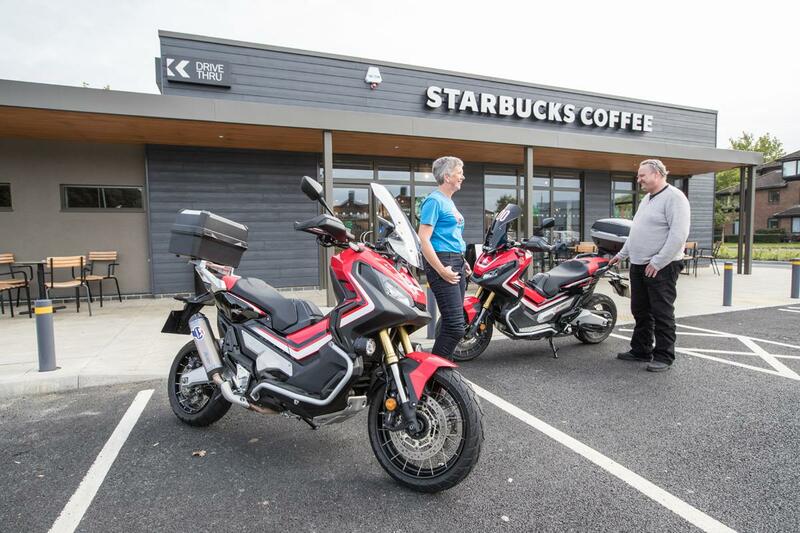 Honda wanted £169 for a spare key fob and it should have heated grips as standard. The biggest problem is the height of the machine. Changes made? I’ve lowered the bike by 30mm and I’m now cautious about the side stand, the bike now stands more upright. Want to change the can and add the off road foot-pegs. Would you buy it again? Yes, without question. What your favourite roads? Love the Picos mountains in Spain and locally the welsh roads around Skenfrith. Biggest trip to date? The west country to Northumberland for a touring holiday. Why did you buy an X-ADV? Want a bike that’s easy to use and like the scooter styling and auto gearbox. Like? Love the look and the upright riding position, really suits my style of riding. Dislike? Bridgestone OE tyres are rubbish in the wet and at slow speeds. Changes made? I’ve lowered it by 30mm, it’s easier to manage. I’ve added loads of Italian aftermarket parts including foot pegs, screen, carbon look covers, top box and hand guards. Would you buy it again? Yes, 100% definitely. What your favourite roads? I love riding country roads and hate motorways. Biggest trip to date? 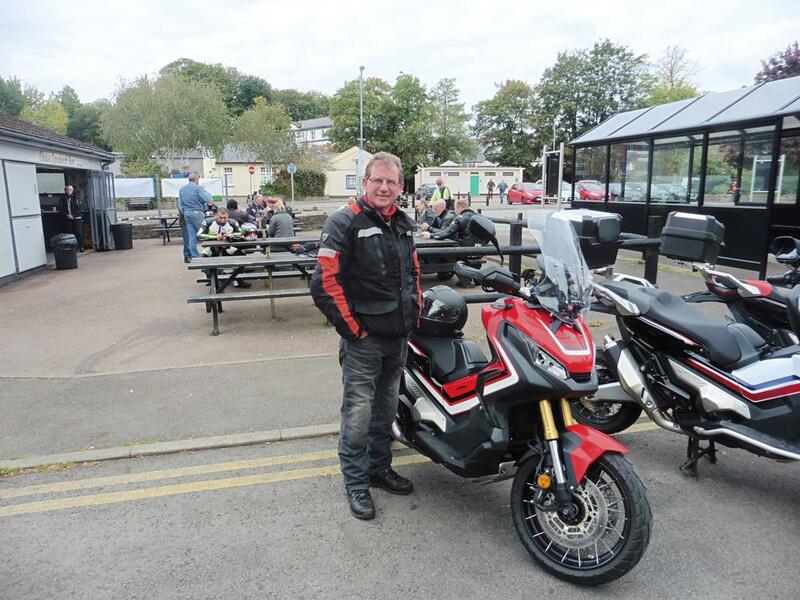 I’ve ridden from East Anglia to John O’Groats and round Loch Ness. 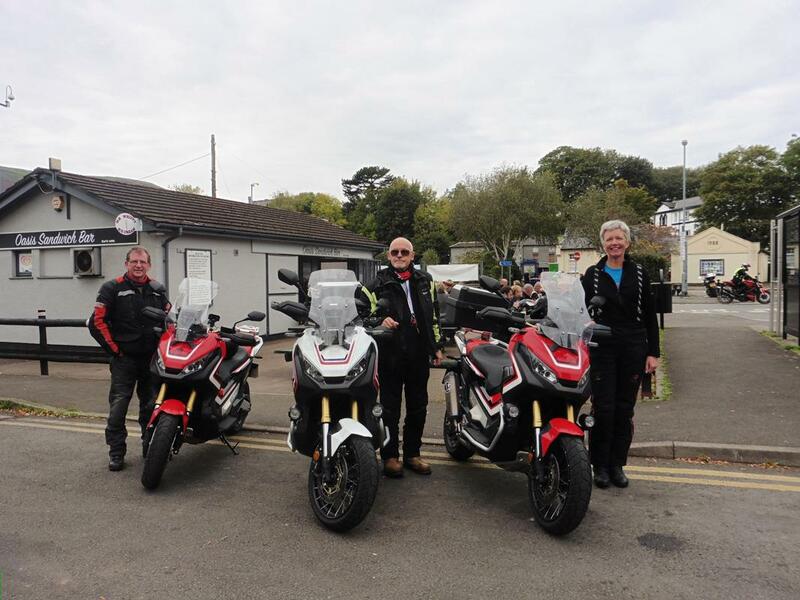 I was interested to hear the views of the three guys, between us we’ve ridden over 20,000 miles, so know our X-ADVs inside out. We’ve all made changes to improve our machines. Ian and Richard have made the most drastic, both struggled with their seat heights and have lowered them by 30mm. 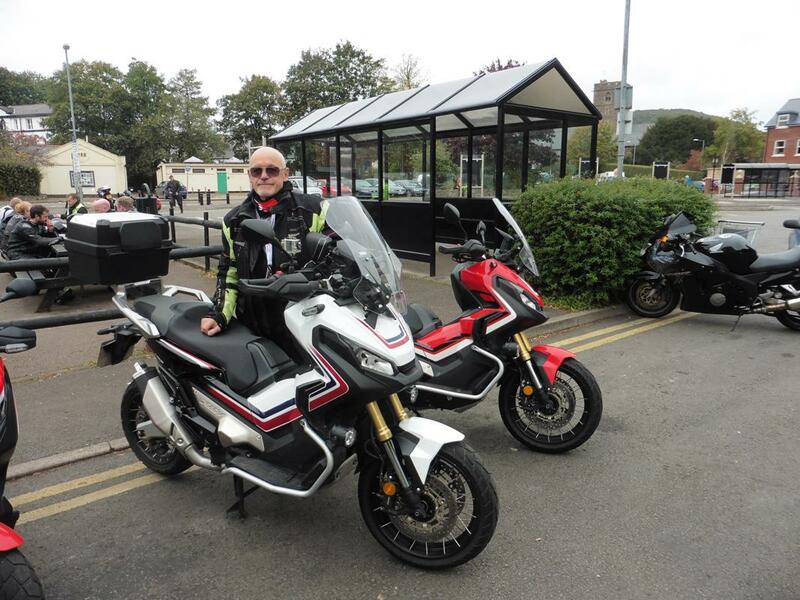 We’re riding big miles and having great fun on our Hondas. Personally, I don’t care if it’s my fifteen mile commute or a ‘big trip’ the X-ADV never ceases to make me smile.